Fresh onto the online and mobile casino scene, AceLucky casino might sound like a site geared towards table card games, but in fact features an array of gambling options to appeal to a broad range of players. The theme of the casino might not be the most original ever, but it’s easy to get past that fact and concentrate on the important aspects of the site, like the games, and the plethora of banking options. If you’re looking for a casino that features hundreds of great games, as well as dozens of generous promotions for returning players, you need to look no further that AceLucky Casino – the new kid on the block who has put a lot of time and effort into developing the best possible environment for players to gamble in. This is truly an all-rounder casino, where there’s a game type to suit every player type, and generous promotions and bonuses for all. What’s more, the mobile casino credentials of AceLucky are supported by the fact that the casino – along with a ton of other depositing options – allows players to deposit using Pay by Phone. The mobile phone bill depositing method makes it simple and convenient for you to deposit in no time, meaning less time doing admin and more time playing. AceLucky Casino obviously isn’t into doing things by halves, which is why it makes perfect sense that the casino has gone all in on making sure there some fantastic gaming content available for every player who visits the site. 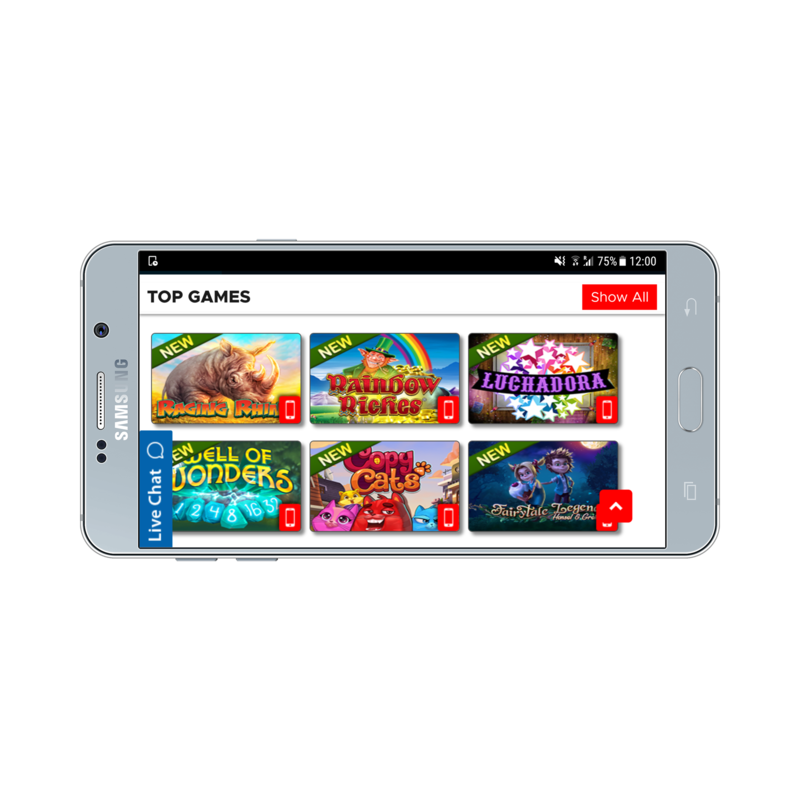 Many of the industry’s top developers are represented in the roster of games available at AceLucky, with a total of 11 different developer companies represented in the collection (Microgaming, NetEnt, Cryptologic, Nyx Interactive, NextGen Gaming, Leander Games, Quickspin, Rabcat, Thunderkick, Big Time Gaming, and Elk Studios). Looking through that collection of developers, it’ll be unsurprising to most to hear that there’s an array of different game types on offer to cater to all kinds of tastes. Of course you’ll find plenty of top quality slots – including a number of progressive jackpot titles – but on top of this you’ll discover roulette, blackjack and video poker. Included at the casino are even 17 live dealer tables for those looking for a more realistic and immersive experience. There’s little more that can be said about this games roster other than it has something for any player to get their teeth into. And with literally hundreds of games on offer, with new ones added each and every month, you’re never going to run out of fresh titles to enjoy either. If there’s one aspect of AceLucky Casino that really lets it down, it’s the welcome bonus. Now, that’s not to say all the casino’s bonuses aren’t worth much – in fact we encourage you to scroll down to read about the plethora of other promotions on offer – but this certainly seems like the kind of site that’s focussing on giving back to the returning player first, rather than on making a big deal for new players. When you first sign up, the only bonus you’ll be eligible to claim is a 100% match bonus worth up to £200. Of course, that’s still a pretty decent bonus, but you might well be forgiven for expecting more from a new casino trying to attract players. The big headlines come from the promotions available to returning players. On top of a rotating selection of bonus which are refreshed both monthly and weekly, AceLucky Casino features a number of recurring weekly promotions which you can take advantage of every seven days. These include the likes of Game of the Day, Weekly Surprises and Monday Madness, all of which offer deposit bonuses and extra spins to guarantee you can enjoy more every time you visit. There’s a silly level of choice on offer when it comes to the depositing options at AceLucky. As always, you have the choice to use credit or debit cards (Maestro, MasterCard, or Visa), and on top of those you have the classic ewallets you’re likely to find at many casinos too, such as Neteller, Paysafe Card, Trustly and Skrill. Then there’s almost a dozen other ewallets and transfer methods including instaDebit, iDEAL, Sofortuberwaisung, GiroPay, Euteller, Fast Bank Transfer, QIWI and WebMoney. Basically, it’s just a whole load of choice. Among all these many payment methods, can you guess the one we’re (pretty unsurprisingly really excited to see in the line up? Well, does it make it any easier if we tell you that AceLucky accepts a little thing called Pay by Phone? That’s right, everyone’s favourite deposit method – mobile phone bill depositing – is available at the casino, making it not only possible, but super easy and convenient to deposit using your phone bill or pay as you go credit. Mobile billing might not be the single definitive sign of a great casino, but its inclusion is definitely a good sign. Want to play at AceLucky? Summary If you can look past the fact that the introductory welcome bonus really isn’t saying much – after all, it’s really not all that bad – there’s a lot of positive things to be said about AceLucky Casino. The selection of games is clearly fantastic, and there’s no shortage of winning promotions for returning players to claim. Moreover, the wide selection of banking methods make it convenient and simple for any player to find a way to deposit that suits them. We foresee great things for AceLucky. PreviousAre You Stupid For Sticking With Just The One Casino?